When Frank Underwood, fictional President of the United States in the Netflix blockbuster House of Cards, saw rising unemployment across the country, he made an unprecedented move: he declared unemployment a natural disaster. Using this language allowed him attract incredible attention to the issue but, more importantly, to access government funds that are in place for emergency situations. Using this emergency disaster money, Underwood implemented his coveted jobs plan. House of Cards is, of course, not the real world. But the idea of using this kind of language to draw attention to social issues is not unheard of, not least of which in Canada. In fact, in 1998, a group of big city mayors in Canada, led by outspoken and eccentric former Toronto mayor Mel Lastman, declared homelessness an unnatural disaster. It’s a great story, and has an important link to Montréal. The winter of 1998 was a brutal one in Eastern Canada as an aggressive and damaging ice storm hit Montréal and parts of Ontario. Toronto street nurse and renowned advocate for the homeless Cathy Crowe had been asked to come to Montréal to use her nursing skills to help in this natural ice storm disaster. Considering the request, Crowe began looking around her adopted hometown of Toronto asking why we respond swiftly to some disasters, such as an ice storm or forest fire, but not others. Crowe saw homeless people who had lost their homes and were sleeping on the streets, freezing to death, and living in terrible shelter conditions. Why do we sympathize with those who have lost their homes due to a natural disaster, but not with those who have lost their homes due to homelessness? This reflection was one of the factors that led to the creation of the influential Toronto Disaster Relief Committee (TDRC), which included passionate Toronto city councilor Jack Layton, Michael Shapcott, professor David Hulchanski, Crowe and others. Linking the issue with the 50th anniversary of the United Nations Declaration of Human Rights, the group began working on a campaign to raise awareness about homelessness. The group never fully expected the idea to take hold, but they nevertheless drew up a declaration in which they asked for emergency disaster funds to be used to provide solutions to homelessness. It never hurts to ask. Jack Layton served as a bridge between the TDRC and his colleagues on Toronto City Council, including to Mayor of Toronto, Mel Lastman. Jack Layton told the mayor about the idea of declaring homelessness a disaster; to his surprise, Lastman loved it. In late 1998, the City of Toronto declared homelessness an unnatural disaster. But Lastman, never predictable, took the idea even further. Every year, Canada’s big city mayors meet in November during the Grey Cup. During this meeting of the mayors in Winnipeg in 1998, Lastman made the pitch; homelessness is an unnatural disaster that cities across the country are facing. The Big City Mayor’s caucus of the Federation of Canadian Municipalities endorsed the idea as well. It is difficult to draw direct links between events such as this and policy changes or actions. But in bringing homelessness onto the public agenda in a big way, Toronto activists and mayors from across Canada began rethinking our responses to homelessness. 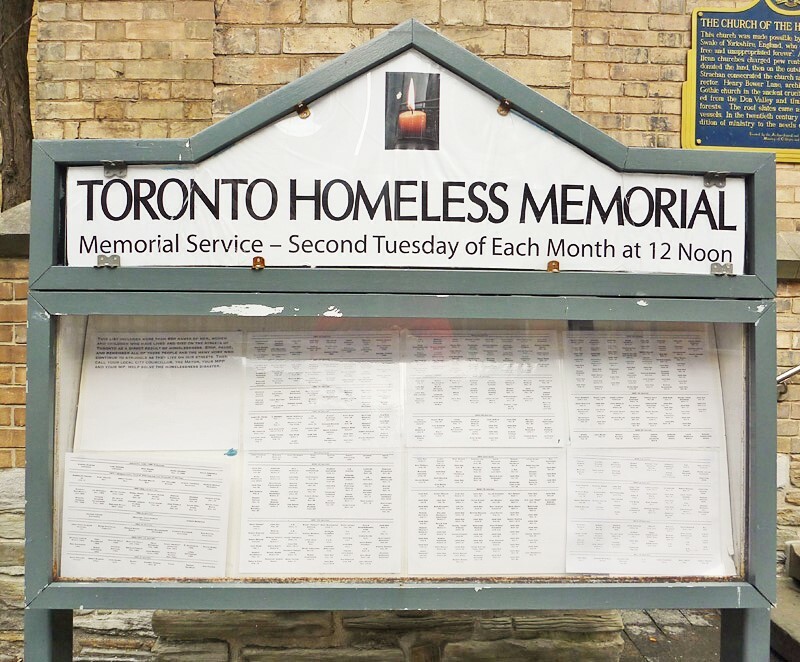 The group is no longer as active as it was in the late 1990s and early 2000s, but an enduring legacy of their work is the homeless memorial, maintained by the Church of the Holy Trinity in downtown Toronto. Every month, a group gathers around the memorial and, more months than not unfortunately, adds name to the list of people who have died of causes related to homelessness. 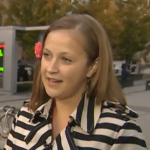 Alison Smith est candidate au doctorat à l’Université de Montréal.